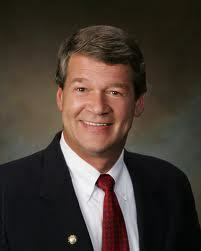 BISMARCK, N.D. (Legal Newsline) - North Dakota Attorney General Wayne Stenehjem issued cease and desist orders on Tuesday against three Canadian companies that allegedly operated phony business invoice scams. The orders against Dany Villeneuve and YAPB, also known as YAPD; Yellow Book and Mario Klemp; and 411 YP banned the businesses and their principals from doing business in North Dakota. The alleged scams involved an initial phone call to businesses to obtain key information or an invoice via mail. The businesses allegedly created fictitious invoices, websites and publications using the name and logo of Yellow Pages. The companies allegedly used deception and threats to collect payment. "These phony invoices look official and they often are very similar in appearance to legitimate business telephone listing services," Stenehjem said. "Employees may unwittingly approve them and process payment assuming the invoice is for a legitimate directory service or was previously approved by another individual." YAPB, Yellow Book and 411 YP are all located in Montreal, Quebec, though two of the companies allegedly used a mail drop address in the U.S. to appear legitimate. The companies allegedly failed to cooperate with Stenehjem's office by refusing to respond to an order to produce information. The cease and desist orders prohibit YAPB, Yellow Book, 411 YP and their principals from conducting any further solicitations or advertising in the state. The orders also bar them from taking or collecting payments from fraudulent invoices.